With the explosion of social networking sites (dude, what am I supposed to do with Google+ ? ), our lives are constantly on display. I know what my friends ate for dinner last night and they live in another state. It is easy to paint a rosy picture of your life through your mobile uploads and status updates, but sometimes what you share effects others more than you know. The view from our tent on our camping trip last week. I have come to learn that I can’t control what others say and do, I can only control what I say and do. When I become pregnant, I know I won’t complain about it on facebook or twitter. I won’t pretend that everything is always wonderful, either, but I don’t need to update my status with every little ache and pain that I’m going through. On my blog, I might share some of my gripes, but people can easily avoid that if they want to. It is hard not to read someone’s facebook status if you’re friends with them. On the same note, what hurts more than the complaints is the really over the top lovey dovey stuff: women posting that feeling their baby kick is like kisses from heaven or how seeing the heartbeat on the ultrasound sent them into fits of giggles. Those are the things that really sting and while I don’t expect people not to share their joy on various social networking sites, I do expect their support and sensitivity when dealing with me directly (like in a email or personal conversation). For example, if someone knows I’ve been struggling to conceive for over a year, I’d hope they’d know not to talk to me about every detail of their pregnancy. I hope they’d understand that I’m there for them, but don’t need the play by play because while it may be wonderful for them, it is terribly difficult for me. A walk through the wildflowers. On the other hand, I don’t want people to walk on eggshells around me, either. I felt really bad earlier this year when one of my friends told me she was pregnant, but that she was so nervous about telling me because she knew how hard it would be for me. However, it was nice to know that she thought about my feelings. I’ve learned that people are going to say what they’re going to say – be it on facebook, twitter, blogs, emails, or in real life and the only thing I can control is how I react and what I choose to say. I can’t expect people to be sensitive, but I can work on the best way to react, which is usually to just not. What do you think? Do you have any social media pet peeves? I would just like to say that I think you are incredibly strong (stronger than you think) for what you are going though in trying to conceive. I personally am not there in my life yet but I truly feel for you. The fact that you are willing to be open and talk about your struggles is a sign of strength and I'm rooting for you. I hope your new doctor works wonders for you. P.s. 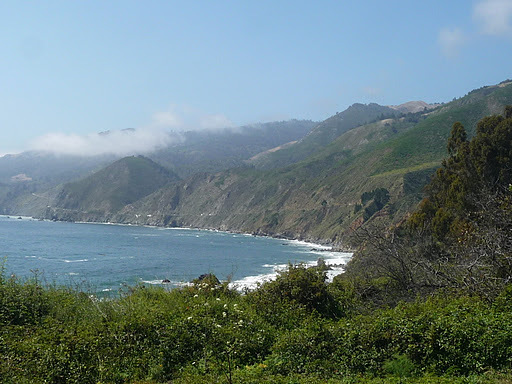 love your Big Sur pics.